If you and your ex-spouse to be have agreed to an uncontested divorce, but would rather have such dealt with by an attorney (perhaps you have a vast number of assets and there may be conveyancing issues etc. involved), then SITL Legal can assist in this regard (as your agent). You may also want your divorce to be heard in the High Court and may not want to necessarily deal with the Regional Magistrate's Court. We assist with divorces throughout South Africa, all documents including the drafting of settlement agreements, parental plans and we ensure that lawyers/advocate appear with you on the day of your divorce to ensure a hassle-free process. For more information, please email us here and we shall revert. We act as your agent in this process and ensure a very cost-effective and managed solution for you. 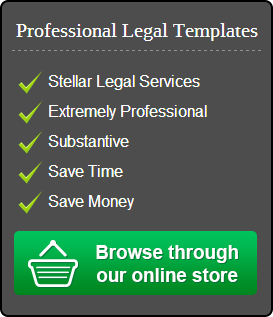 Why use a legal consultant and a lawyer you may ask? Well, we have seen many cases where divorce lawyers have fleeced unsuspecting divorces. We assisted one lady who was pregnant while getting her divorce. She did not understand contract law and took the attorney's word that fees would not escalate beyond a certain amount (of course the written mandate was in the attorney's favour); this poor lady (and we hope at some point to interview her and post such on this site) ended up paying exorbitant fees, especially when said lady was paid part of her ex-husband's pension. The divorce in question did not know her rights under the Consumer Protection Act either. What was especially concerning was that the lawyer simply did not answer correspondence until she was advised that the matter would be referred to the applicable Law Society. SITL Legal believes in integrity and honesty. There are many ethical and socially responsible lawyers out there and the majority of us should not be cast in a negative light. For a fixed-fee (which is cheaper than what some divorce lawyers charge doing the work themselves), we assist with the conclusion of a mandate in compliance with the CPA etc. We advise you of what your rights are. To strengthen this, we have agreements with such divorce lawyers, whom we've vetted to perform uncontested divorces; we obtain certain undertakings from them that protect you. On top of this the attorney also concludes a mandate directly with you. We provide you with all draft, documents with detailed explanatory and guidance notes so that you are aware of exactly what your rights and obligations are. The fixed-fee does not include the Sheriff's fees and other reasonable expense. NOTE: if your divorce is uncontested, you can control what the Sheriff's fees are. Please email us here for a no obligation quote. The divorce lawyers that SITL Legal vets and mandates prepares and completes all documents required for an uncontested divorce. They file these documents for you at court. Your divorce is granted in the High Court in a matter of weeks. This process is thoroughly managed by a divorce lawyer and SITL Legal (and is still cheaper than what some divorce lawyers charge for uncontested divorces). The divorce lawyer and an advocate (pre-agreed rates so you do not pay unnecessarily) attend at the High Court on the day of the divorce. You receive advice and support through the entire process. This product is purely for uncontested divorces where both ex-spouses to be understand the benefits of legal representation, are aware of the pitfalls of going the DIY route, are looking for a cost-effective and expeditious solution and are looking for specialists that have their best interests at heart.